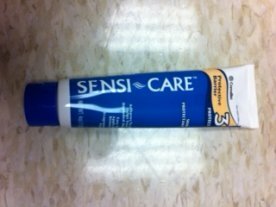 Barrier cream is a cream used to help prevent and treat bed sores and rashes for patients who are incontinent or on bedrest. 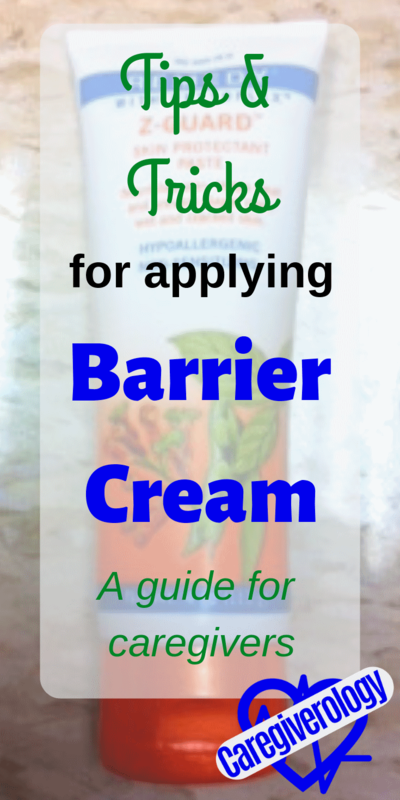 There are many different kinds of these creams. Some rub on thick while others come on and off very smoothly. How much is enough? I personally cake it on thickly for most patients. It's better for them to have too much rather than not enough. Some of it usually rubs off onto their adult diaper or incontinence pad. I usually cover more area than what some may consider necessary as well. Bed sores and especially rashes usually spread very quickly, so why not cover the surrounding area so you know they are completely protected? Make sure you have an extra pair of medical gloves when you are putting on barrier cream because it gets everywhere. As soon as you put it on, don't fasten the brief or put the covers over the patient. Change your gloves first. Another trick is to put on a double layer of gloves. That way you can just take the second layer off and leave the first. If you try to fasten the brief with barrier cream on your gloves, it will not stick. The cream somehow removes or covers up the adhesive. I have seen this happen time and time again. 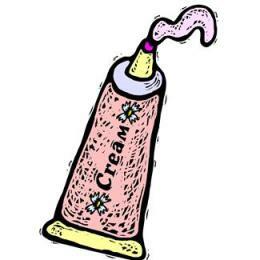 If you have the thick kind of cream, it may be hard to spread. A trick I use every now and then is to have the tube of cream soak in hot water for a few minutes. This also loosens it up so it's easier to squeeze out of the tubing, and believe me, it can be difficult. Some creams are easy to remove while others seem to be impossible to get off. It is important that the same application of cream doesn't stay on for too long. When should it be removed and reapplied with a fresh coat? I'd say when it looks completely dry and hardened if not before. The best way to remove it would be with a warm washcloth while giving perineal care. Just be very gentle, you don't want to make the bed sore or rash even worse. If you are changing out an incontinence pad and an adult diaper at the same time, make sure you put the brief over the patient's bottom before you roll them to the other side otherwise all the barrier cream will stick to the rolled up pad. Believe me, I've made this mistake a few times. 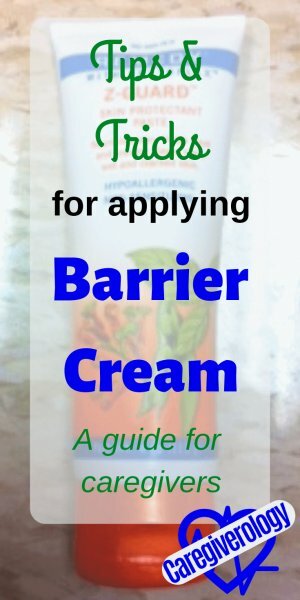 Although barrier cream isn't necessary in every situation, it's definitely worth using in some especially if the patient is on bedrest. It can never make matters worse so it's always a good idea to have a tube or two lying around just in case. You never know when you might need it.